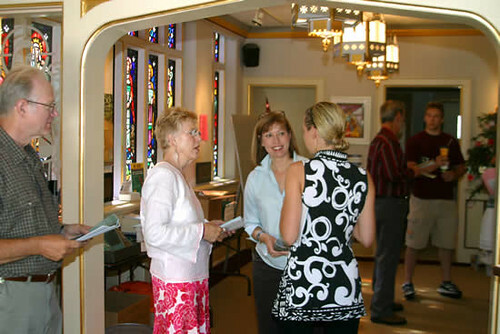 Lake Park Lutheran Church is a diverse congregation of active, passionate, creative, and caring people located on the Eastside of Milwaukee. 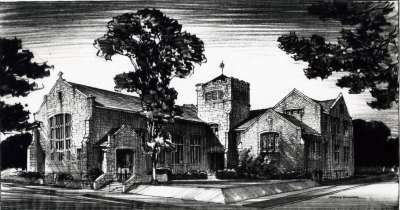 A congregation of the Evangelical Lutheran Church in America, Lake Park was founded in 1911 as an English-speaking congregation (radically innovative for Milwaukee at that time) north of downtown. Its mission was to serve the bustling neighborhood between the beauty of Lake Michigan and the activity of the Milwaukee River. It 1912 it finished construction of a gorgeous sanctuary with stained glass windows by the Erhard Stoettner studio. The church, with its chapel, prayer room and main sanctuary, has one of the best displays of Stoettner stained glass in the region. In 2005 major renovations restored this historically significant building and made the church’s mission tangible by creating full accessibility to all areas of ministry (check out our entrance ramps and commons!). The renovations won praise for vision and welcoming from renowned architecture critic Whitney Gould of the Journal Sentinel. The beauty of Lake Park’s building was only outmatched by the beauty of its mission. 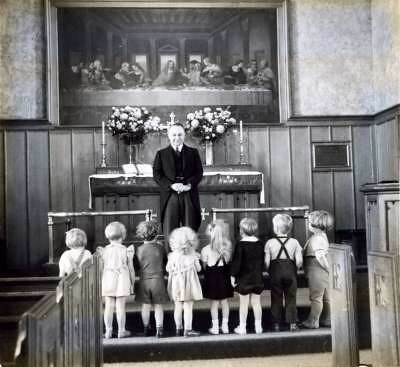 For years, the Sundays school boomed, the church hosted classical music concerts – installed an organ – and had a famous Christmas eve service. It made manifest the love of God in Jesus Christ. But like Jesus himself, LPLC always looked outward. The church took a strong position on social and community issues becoming a founding member of Habitat for Humanity in Milwaukee, supporting the founding of Luther Manor and East-Side Senior Services for Elders, and helping establish the Corner House for campus ministry at UW-Milwaukee. But that was Lake Park’s history. In 1998, the church recognized that if it were to continue to be vibrant and proclaim God’s love in a new era it would need to take a bold leap of faith and rededicate itself to God’s work in the world. What emerged was a new mission, new staffing, and a lofty goal of doubling the size of the congregation and resources. Within five years, under new pastoral leadership, the church not only met, but exceeded it’s goal with over 200% increase in membership and outreach, dozens of children and families, and new outreach into the neighborhood. Today, Lake Park is experiencing a resurrection. It is a dynamic and youthful congregation (blue haired 20 somethings mix with blue haired old ladies!). Some of the fruits of the growth include membership in MICAH (Milwaukee Inner-city Congregations Allied for Hope), becoming a “Reconciling in Christ” congregation (welcoming and affirming of all people including those in the LGBT community) becoming a Green Congregation (see Care for Creation Team), revising our youth program, reinvigorating our faith education and reviving Lake Park’s tradition of vibrant, creative Word and Sacrament worship by installing a new music ministry team where Bach plays side by side with blues-slide guitar (all in the same service!). We’ve also expanded our pastoral staff with a new Director of Cross Generational Ministry taking the word of God proclaimed on Sunday mornings beyond the walls of the church, into our homes each week and throughout the generations of our members and visitors. All of this is supported by strong preaching and passionate leadership at all levels. What matters most is a rediscovery of the love of God and the activity of God’s love in the world. Part of that rediscovery comes from welcoming creative, intelligent and questioning people like you. Lake Park is centered on the belief that God is in the world and that the world inspires us to deeper love and service. Your gifts, however strange they might be, are apart of God’s purpose in the world. Lake Park and your gifts reflect the openness, diversity, and vibrancy of our Eastside neighborhood. If you are looking for a church home, come visit us or contact the pastor or other staff members. We offer radical hospitality. You might even get a free latte and a changed life, out of the experience.